Although police officers certainly engage in unethical behaviors, practitioners who work in the court also have the potential to act in an inappropriate or unscrupulous manner. This is because, to varying degrees, court personnel such as prosecutors, defense attorneys, and judges have discretionary powers. When faced with ethical dilemmas, they can take decisions one way or the other, because moral obligations have finer shades (Souryal, 2006). Some prosecutors, for example, may behave unethically. Prosecutors exercise a great deal of discretion as they decide which cases should go to trial and which should be dismissed. In theory, they must try to seek justice and not merely a conviction. However, on occasion they are driven by personal ambitions rather than justice. Some prosecutors treat their current jobs as stepping-stones to other lucrative jobs (Kleinig, 2008; Pollock, 2007). This might compromise their undivided service to the public. They also are greatly involved in the process of plea bargaining, where the presumption of innocence is compromised and the defendant pleads guilty in exchange for a promise of lesser charges or less sentencing. At times, another ethical issue arises when the defendant refuses to accept a plea bargain and the prosecutor acts in a retaliatory manner during the trial. In addition to the ethical issues inherent in the plea bargaining process, prosecutors may also intentionally attempt to compromise the trial process (Kleinig, 2008). This can be done by a practice known as jury skewing (Kleinig, 2008, p. 126). According to Kleinig (2008), jury skewing occurs when prosecutors seek out jurors who are partial or biased in their favor. It should be noted that although some scholars consider this practice to be unethical, it is nevertheless perfectly legal, unless a prosecutor discriminates on the basis of race, ethnicity, or gender as per Batson v. Kentucky (1986). In addition to engaging in jury skewing, prosecutors may also behave unethically by withholding exculpatory information that may affect the outcome of a criminal case in favor of the defendant (Kleinig, 2008). In Brady v. Maryland (1863), the U.S. Supreme Court held that the suppression of exculpatory information is a violation of the due process rights of criminal defendants. Prosecutors are also likely to use questionable expertise because of the relationship the government has with forensic laboratories. Kleinig (2008) identified other examples of prosecutorial misconduct, such as coaching witnesses, overstatement about the evidence in the opening and closing statements, and zealous resistance to appeals that may reflect poorly on their work. Prosecutorial misconduct can be explained by utilitarianism and egoism, focusing on the consequences of their wrong actions, but such actions are definitely not justified by any deontological ethical system that recognizes that the inherent nature of the act must be good. Like prosecutors, defense attorneys also have the potential to behave unethically. 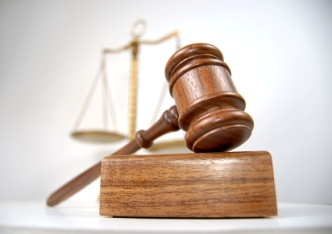 The job of a defense attorney is to ensure that defendants are not deprived of their due process rights. Their loyalty lies solely to their clients and not to the public. At times, however, defense attorneys pursue this goal too zealously to prove their defendants’ innocence. At such a time, they should be careful not to encourage or allow perjury by their clients (Kleinig, 2008). The attorney–client privilege is a very important aspect of the representation of a client. This confidential and loyal relationship is important to ensure proper representation of a defendant, which is possible only after a complete knowledge of the facts of the case. A defense attorney’s job is not to judge whether the client is guilty or innocent but to ensure that the client gets a fair representation and that all due process rights are protected (Pollock, 2007). This confidentiality can be broken only under four circumstances: (1) The defendant can waive it, (2) by court order, (3) if the defendant expresses his intent to commit a future crime or fraud, and (4) if the defendant tries to implicate the attorney in some criminal enterprise (Pollock, 2007). There are times when the defense attorney fails to represent his or her client effectively. Several cases alleging ineffective assistance of counsel have been filed, but this has been a ground hard to prove. In United States v. Cronic (1984), the U.S. Supreme Court held that a claim of ineffective assistance of counsel can be made only by pointing out specific errors made by the trial counsel. It cannot be based on an inference drawn from the defense counsel’s inexperience or lack of time to prepare, the gravity of the charges, the complexity of the defense, or the accessibility of witness to counsel. In Strickland v. Washington (1984), the court ruled that an accused who claims ineffective counsel must show deficient performance by counsel and a reasonable probability that but for such deficiency the result of the proceeding would have been different. There have been cases in which the defense attorney was found silent and even sleeping during the proceedings in court. In Burdine v. Johnson (2001), a defense lawyer for a capital offense defendant kept falling asleep during the trial. Convicted and sentenced to death, the defendant appealed, claiming he was denied the constitutional right to effective counsel. The Fifth Circuit concluded that Burdine did not have the benefit of effective counsel and therefore ordered a new trial. The U.S. Supreme Court refused to hear the case on appeal; thus, the decision to give Burdine a new trial was upheld. In Ex parte McFarland (2005), the court of criminal appeals held that although the lead defense attorney had slept through portions of the trial, the defendant was not deprived of assistance of counsel because his second attorney was present and an active advocate at all times. In Bell v. Cone (2002), the court allowed a death sentence to stand even though the defendant’s lawyer failed to make an argument to the jury to save his life. In this case, Cone was tried and found guilty of capital murder. During the sentencing stage, the sequence was for the prosecution to argue first, then the defense lawyer, and then the prosecutor again. A junior prosecutor argued first for the prosecution. The defense lawyer then decided to waive his argument, because under court rules the prosecutor could not argue a second time if the defense lawyer waived the argument. This was done by the defense lawyer as a strategy so that the senior prosecutor, who was a highly effective lawyer and who was going to give the second prosecution argument, could not say a word. The jury gave the defendant the death penalty anyway. Cone appealed, claiming ineffective counsel. The court upheld the sentence, saying that Cone’s constitutional right had not been violated because what the defense lawyer used as a strategy was reasonable. In Mickens v. Taylor (2002), Mickens was convicted of murder and sentenced to death. He claimed ineffective assistance of counsel because he discovered, after the trial, that his attorney had represented the victim on unrelated charges. This was never revealed to Mickens. The U.S. Supreme Court rejected his claim, saying that a defendant who claims that the right to counsel was violated because of a conflict of interest must show that the conflict had a negative effect on the attorney’s representation and that there was a reasonable probability that the result would have been different. The court concluded that “dual representation” in and of itself merely represents a “theoretical division of loyalties” and did not require a reversal of the results. Just as both prosecutors and defense attorneys have the potential to behave unethically, judges are also not immune to engaging in inappropriate behaviors. The most important ethical responsibility of a judge is to be impartial. For this, judicial independence and integrity are vital. Judicial independence could mean both the independence of the judiciary from the other branches of the government and the personal independence and integrity of the judges so that they are not influenced by other considerations in their function as judges (Kleinig, 2008). The Code of Judicial Conduct Canon 2 (1990) says that a judge shall avoid impropriety and the appearance of impropriety in all of the judge’s activities. Also, as per the Code of Judicial Conduct Canon 2 (C) (1990), a judge should not hold membership in any organization that discriminates on the basis or race, religion, gender, or national origin. Judicial accountability is yet another aspect that holds judges responsible for their actions. Judges are to disqualify themselves from cases in which their impartiality might be questioned, as in cases in which they might have a financial or other interest (Barua, in press). This was reinforced by the approval of the Judicial Conference Policy for Mandatory Conflict Screening on September 19, 2006. This policy mandated an automated conflict screening to identify any financial conflict that federal judges might have in cases that come before them. Besides this, judges are often invited to attend educational trips sponsored by certain organizations. This sometimes gives rise to an ethical issue that judges would be biased toward the sponsors of these programs or toward corporations in which they might have a financial interest. It is more the appearance of impropriety than an actual unethical action of a judge that creates concerns (Barua, in press). On September 19, 2006, the Judicial Conference Policy on Judges’ Attendance at Privately Funded Educational Programs was released. It mandated that a federal judge should not accept travel, food, lodging, reimbursement, or anything that would be considered a gift under the Judicial Conference Ethics Reform Act Gift Regulations for attending a private educational seminar, unless its sponsor has filed a public disclosure statement on the content of the program and all sources of funding for the judges’ expenses. These two policies were aimed to allay the fears of unethical behaviors that the public might have about federal judges (Barua, in press). The two areas where judges exercise their discretion are (1) interpretation of the law and (2) sentencing (Pollock, 2007). While interpreting laws, judges can get caught up in hypertechnical application of laws at the cost of equity and fairness (Pollock, 2007). Before the federal sentencing guidelines, sentencing disparities existed because of different sentencing patterns of individual judges (Hofer, Blackwell, & Ruback, 1999).Whatever may be the situation and the case, judges are expected to be fair, just, and impartial and to mete out equal treatment to all and sundry, upholding the neutral position of the judge and behaving in a manner that behooves a judge and the pristine judicial office. As this section of the research paper has shown, however, some judges may behave unethically. Like other practitioners who work in the court, judges also have the potential to behave irresponsibly or in an unprofessional manner.